Are you looking for local moving companies Miami? For most individuals who plan to move locally, hiring the services of a professional moving company is not on their priority list. They may choose to do it themselves, without hiring any professional help at all. However, several issues may arrive and are better manageable with the help of an experienced moving company. South Florida Van Lines is a recommended choice. Any move within a 100-mile radius is considered as a local move. At South Florida Van Lines, we are committed to customizing our service to suit your specific moving needs. Together with experienced staff and our friendly relocation coordinators, we will make your move as smooth and seamless as possible. 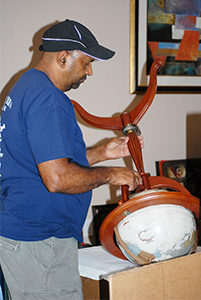 We offer everything from furniture moving to packing/unpacking to assembling/disassembling. 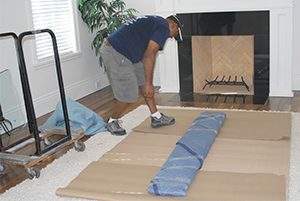 We are by far the most skilled and experienced movers in the industry. All our moving services are competitively priced. After our moving estimator does the inventory, the price agreed to charge you for the move won't exceed at any given time. We offer a fixed rate that will satisfy your needs and your budget with no hidden fees of any kind. We have no unexplained charges or hidden fees. Before the move, all our clients receive a written ‘Not to Exceed’ price from us. Our quality and efficiency result in minimal down time allowing you to concentrate more on important things in your life. We never hire untrained, unlicensed, or uninsured ‘temporary laborers’. With us to load/unload or move your belongings, you won’t have to worry about leaving our friendly movers alone with your precious belongings. Whether you are moving across the street or across the town, downsizing or upsizing, think of South Florida Van Lines as your local household mover. We know all moves are different, that’s why our nationwide network of moving experts is ready to tailor your moving package that suits your local moving needs. We take great pride in our standards of customer service and our attention to detail. With our local moving company, you can rest easy knowing that your valued possessions will be packed and transported carefully. 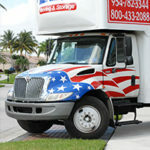 South Florida Van Lines is a leading interstate moving company. We help numerous individuals and families with hassle-free moves every year. When it comes to full customer satisfaction, all of our experience makes us one of the leading moving companies. If you are looking for trustworthy, reputable movers to help you with your interstate move, look no further than South Florida Van Lines. At South Florida Van Lines, we can help you with your cross country move. We have professional, friendly relocation agents in numerous locations throughout the country. With years of experienced in cross country moving, we are ready to make your move perfect.